SheShe has finally returned from her mat leave and I was finally able to lock down a brunch date with her…believe me it’s been a super long time coming. We decided to go somewhere close and Browns Socialhouse was our choice. She has been there before numerous times for brunch and recommended it. We went to the Lougheed location. It was a great location with free parking. It looks very modern and chic. We like it! As we were here for brunch, mimosas were for sure in order. 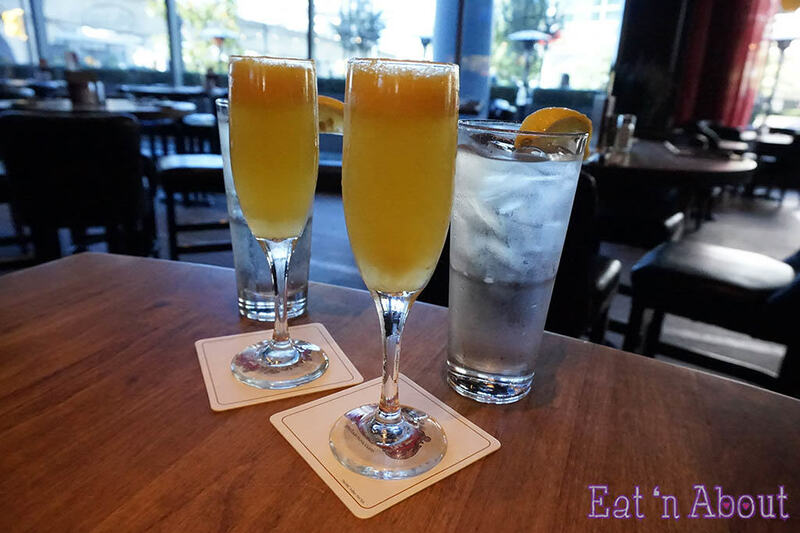 Weekend Mimosas ($5) were a superb deal on, well, the weekends. 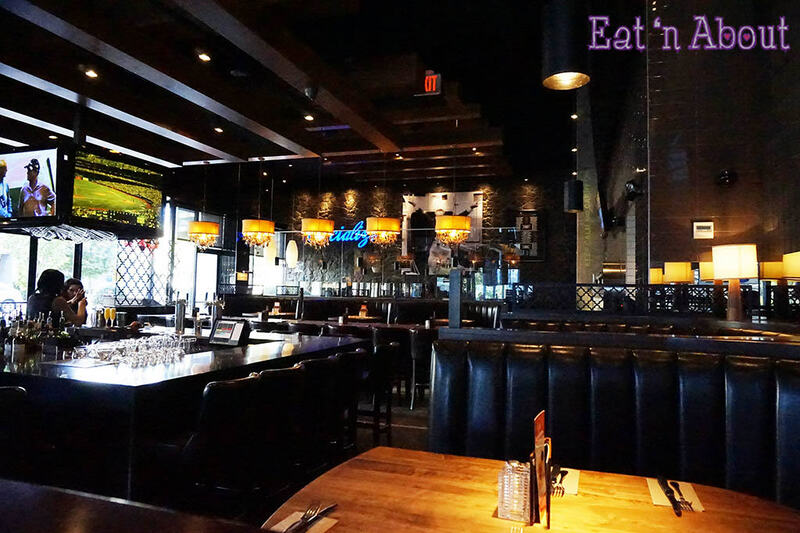 Browns Socialhouse sure has some good deals on drinks every day of the week. It is made with fresh pressed orange juice and prosecco. Just the right amount of sweetness. Cheers for sweet and bubbly fun! Just like us! 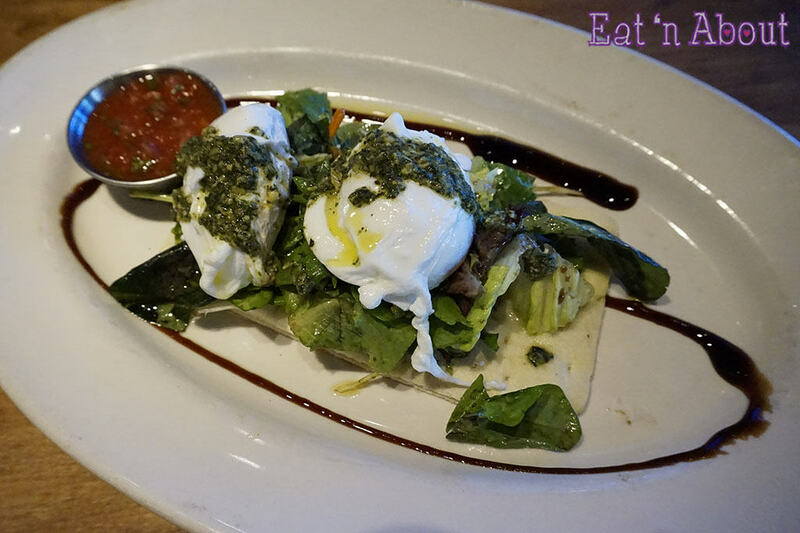 SheShe picked their La Petite Social Salad ($10.25) which features housemade flatbread, poached eggs, salsa, green salad, fresh pesto, balsamic and olive oil dressing. The flatbread was soft and chewy and the salad was very fresh. The eggs were poached perfectly and it all just made for a very light in-between meal. 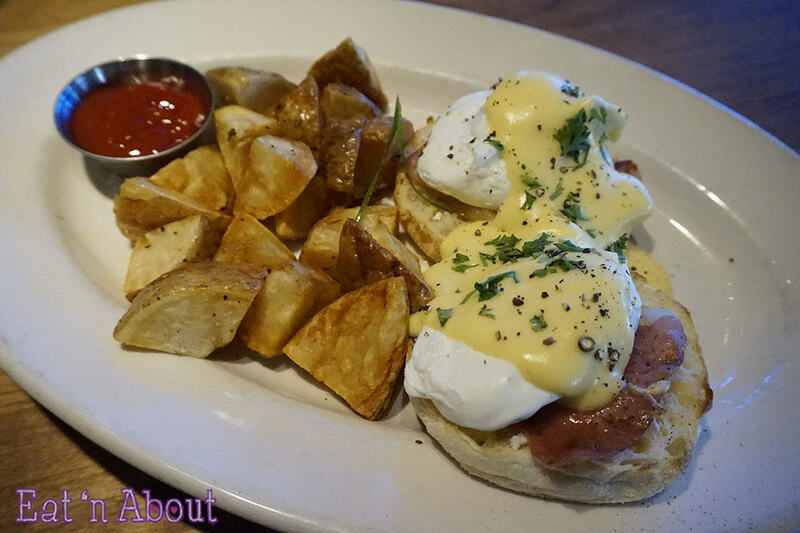 I opted for something more satiating…the Prosciutto Eggs Benedict ($10.95). The addition of goat cheese made for a richer tasting openfaced sandwich, not to mention the homemade hollandaise- tangy and buttery, although the tanginess did help to bring down the richness a bit. The breakfast potatoes were a bit too hard though. However, again the eggs here were poached perfectly, SheShe and I were both pleasantly surprised by this. I must say I was quite impressed by the food here, and the prices were very reasonable. I would definitely come back again.